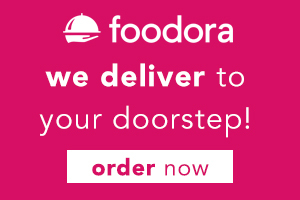 Fast & friendly delivery right to your front door. Eat In or Take-Out our Delicious Persian Pizza! One of Calgary’s very few Persian and halal restaurants. Serving only fresh, certified halal food using only the freshest herbs, fruit and vegetables. Shiraz dishes are carefully prepared based on Persian recipes and made from the finest ingredients. Our menu is designed to appeal to meat-lovers and vegetarians alike. 2 CONVENIENT DELIVERY OPTIONS TO SERVE YOU! Our delicious and authentic Persian style specialty pizza's are a restaurant favorite. Dine-in, take-out or order delivery. See our full list of pizza's to choose from! Shiraz is known for it's authentic and freshly made Persian dishes. Come in and experience a truly unique Persian cuisine & atmosphere! Mehdi Rashidian was destined to serve pizza. From owning 6 Dominos Pizza franchises, to a place he can call his own. In 2010, he and his wife Sarah Javaheri launched Shiraz, one of Calgary’s very few Persian and halal restaurants. Shiraz serves only fresh, certified halal food using only the freshest herbs, fruit and vegetables to create some of the most unique dishes on the planet.